How striking is the young Christopher Walken compared to the beautiful Scarlett Johansson? In fact, the two actors both hail from New York City. 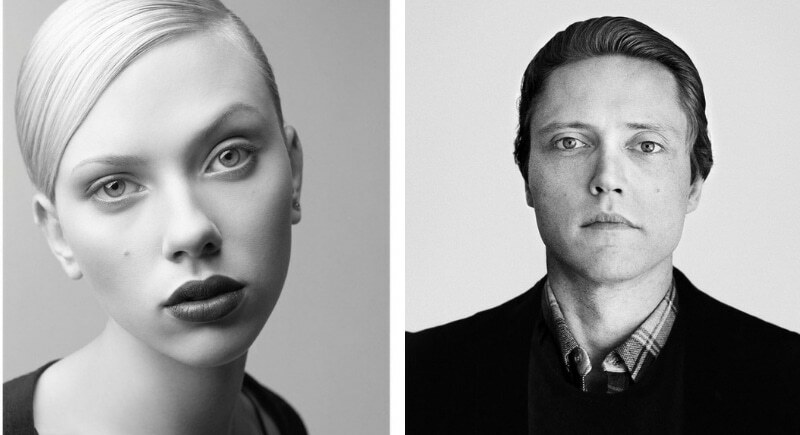 34-year-old Johansson could be the daughter of 74-year-old Walken, don’t you think? One thing is for sure, both have an extremely unique facial structure that has the ability to captivate audiences. 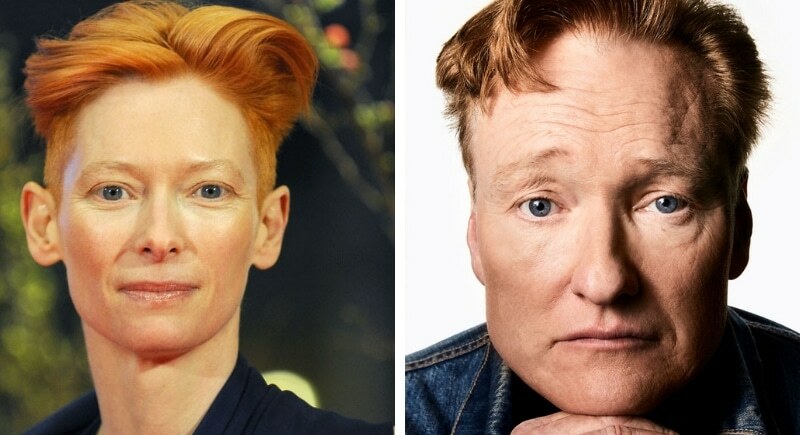 British actress Tilda Swinton and American comedian Conan O’Brien are a mere three years apart in age. Conan is a staggering 6’4”, and Swinton is pretty tall herself, measuring in at 5’11”. Swinton’s family background contains Australian and Scottish roots, while Conan has often discussed his Irish Catholic background in his comedy. One this is for sure, these two share uncanny facial features!